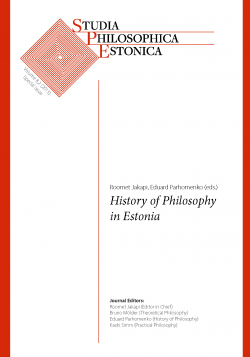 This special issue focuses on the history of philosophy in Estonia. Most papers here rely on presentations given at the conference “The Roots and Offshoots of Estonian Philosophy” held at the University of Tartu from 5–7 June 2008. The scope is wide, ranging from the theoretical and practical philosophy of the 17th century to the features of philosophical research and teaching in the Soviet era as well as today. The papers provide insights into different intellectual environments in which philosophical investigations were undertaken in various ways, circumstances and languages.